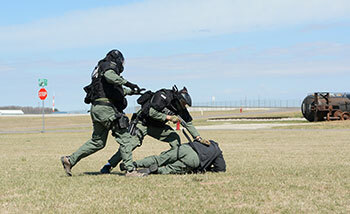 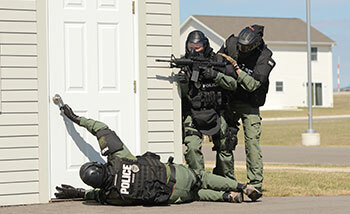 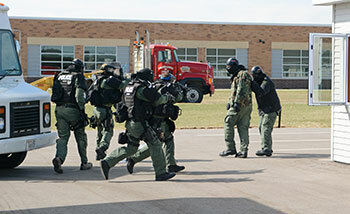 The SWAT Team is a unit within the Oshkosh Police Department that has specialized training in the use of various techniques and equipment for isolating, containing, and resolving high-risk situations. 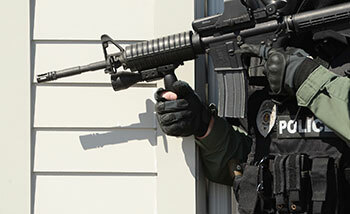 These situations may be barricaded suspects, suicidal subjects, hostage takers, snipers, dignitary protection or any potentially violent police confrontation. 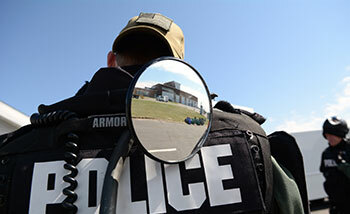 The team is part of a three-pronged approach that also contains Negotiators and the Emergency Operations Center personnel. 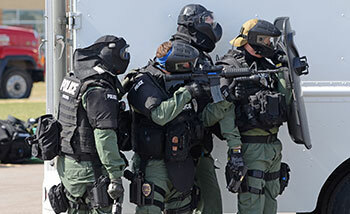 As a team, this system is used to resolve these situations.